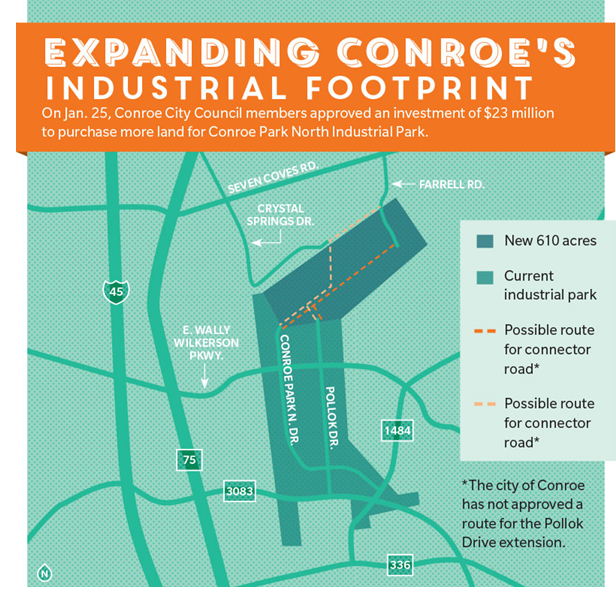 ​​ CONROE – The City of Conroe council members have approved a $23 million land purchase to expand Conroe Park North Industrial Park. The city invested in a 610-acre land expansion to keep up with the industrial park growth. The city will install utility lines and construct roads on the property. The existing portion exists on 1,045 acres. Currently, the park is at 80 percent capacity, home to 27 companies, and where more than 3,000 individuals are employed. Conroe Park North is located off FM 3083.